Meet Chris Critelli. Would you give him a job? Would you take him home to meet your parents? Whilst you’re contemplating your answers, let me tell you a story. 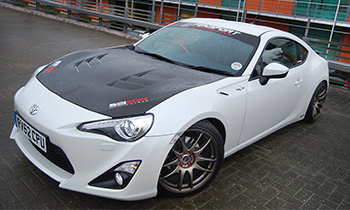 I met Chris when I was asked by my client Jemca Car Group ( http://www.jemcacargroup.co.uk/ ) to interview one of their customers who had bought a new GT86 (Toyota’s 2+2 sporty little number) and modified it at the cost of several thousand pounds turning it into a beast of a car. Into Jemca Bracknell walks Chris, brighter than the dazzling sunshine of a wintry Sunday morning, dressed head to toe in luminous green futuristic Cyberdog branded clothing, biker boots, a blue Mohican and two studs protruding from his chin. It takes a moment like that, as you simultaneously fight the barrage of prejudices and judgements, to realise you may not be quite as open-minded as you would like to think. I am sure you can imagine the thought process – many of you would have experienced the same although pre-warned by the title, your guard may have already been in place so don’t start the self-congratulation too early! He’s a fashion designer or works in media . Wrong (he’s a network engineer). He’s gay. Wrong (he has a girlfriend). He’s a punk (his words, not mine). Wrong (he’s a regular, intelligent guy). He’s loaded. No idea but he chooses to spend his hard-earned cash on his passion. He’s a danger on the road. Wrong (he’s never had a speeding ticket and his need for speed is unleashed on the track). Shall I just stop now? Despite studying for a degree in the hotbed of 80s leftwing thinking, a highly politicised era in my 20s and having spent a lifetime interviewing people for my job, you would think any prejudices would have been long quashed. Then again, we make judgements all the time and I suspect, most of the time, most of us are spot on. The real trick is being able to psychologically backtrack when required – in nanoseconds, rather than allow those prejudgements to cloud your view – whether your initial assessment was right or wrong. Interestingly, Chris made me feel extremely patriotic. 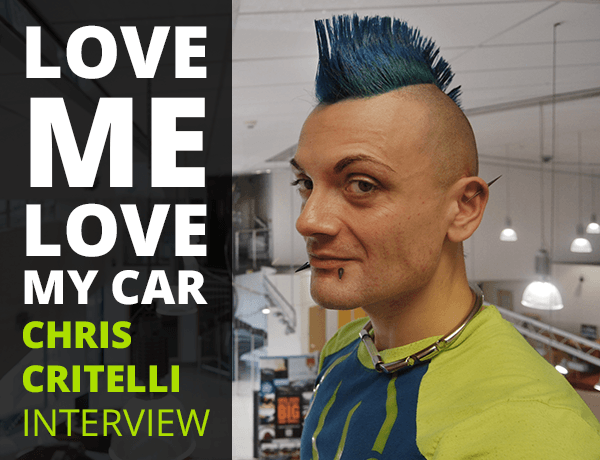 Having left his native Italy to work in London before taking another job in Berkshire because his employers back home wanted him to shave off his Mohican and conform to office type, he found UK employers to be more interested in his skill set than his looks. In some ways, perhaps he appeals to the British love of an eccentric or just may be, bosses are becoming more open-mined. Or perhaps, as Chris himself, pointed out, he just got lucky. Whatever the reason, meeting Chris underlined the importance of the Critelli’s in the world. Not necessarily to embrace freedom of expression, important though that is, but to remind us it’s all too easy to make a wrong judgement and the importance of fighting those deep-rooted prejudices which vie for attention without warning. So the next time you see a teenager pushing a baby (she could be the older sister), a group of hooded teenagers huddled on a street corner (they are probably comparing their A Level maths mock) or the old boy who happens to be a bit grumpy the day he’s in your way in the supermarket aisle (his war wounds could be coming back to haunt him), take a nanosecond or two to challenge your preconceptions. Pictures courtesy of Lyndon Douglas Photography http://www.lyndondouglas.com/ who is currently juggling professional life and a new born baby (cue: smug feelings of been there, done that), only to reveal he has two older teenage kids, aghast at his youthful looks I acknowledge his youngsters must have given him much less hassle than mine, I am undoubtedly wrong about that too!!! This entry was tagged Automotive Retail, Customer, Eccentric, Jemca Car Group, Judgements, Preconceptions, Toyota. Bookmark the permalink.